Provides for the development of regular parish-based retreat ministry. Serves as a resource for parishes and institutions of the diocese for retreats, days of recollection, and other spiritual formation needs. Provides opportunities for individual and group spiritual direction for all persons throughout the diocese. 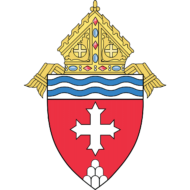 Extends leadership and support to other programs and organizations which provide for the spiritual development of the people of the Diocese of Memphis. The promotion of the “fullness of Christian life” is central to the ministry of the Secretariat for Spiritual Life. From this Secretariat flows the the ministry of Our Lady Queen of Peace Retreat Center at Dancyville. In addition, the Office extends direction and support to the Diocesan levels of the Cursillo and the Charismatic Renewal.